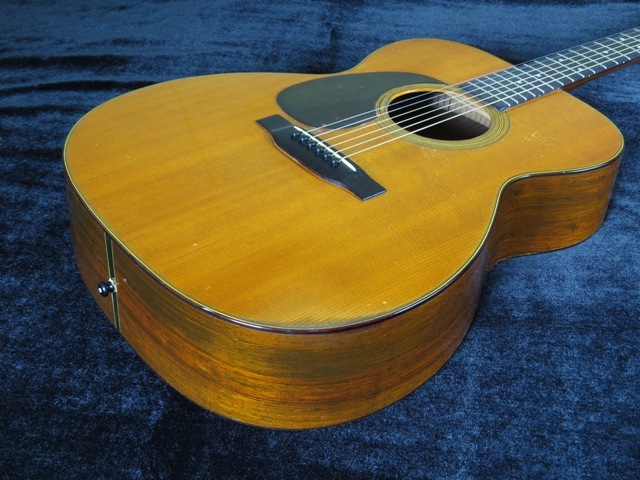 1938 Martin 000-28, Stunning Prewar Example! 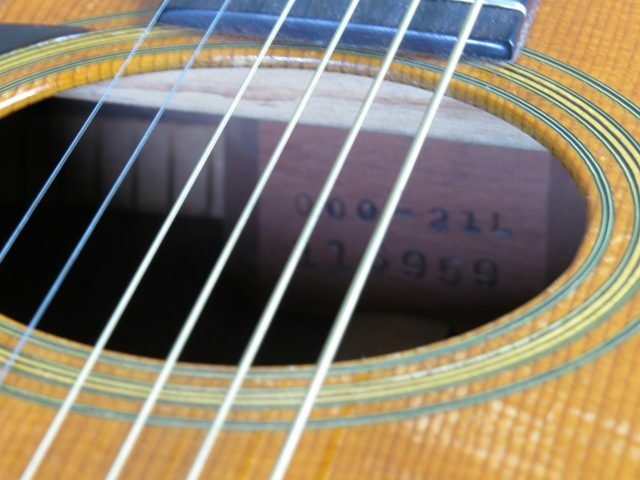 Serial number 70461. 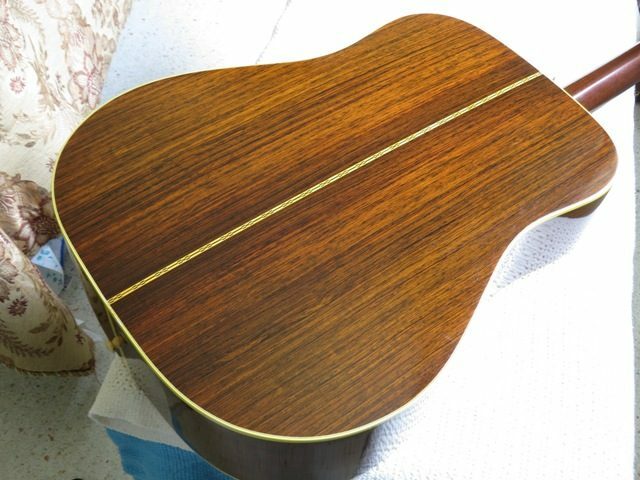 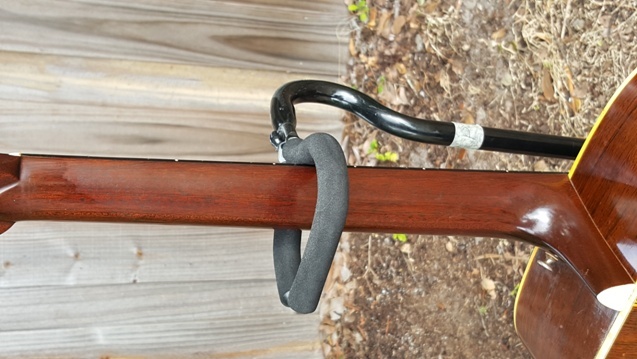 This guitar has been professionally refinished and the neck has had the requisite reset and refret. 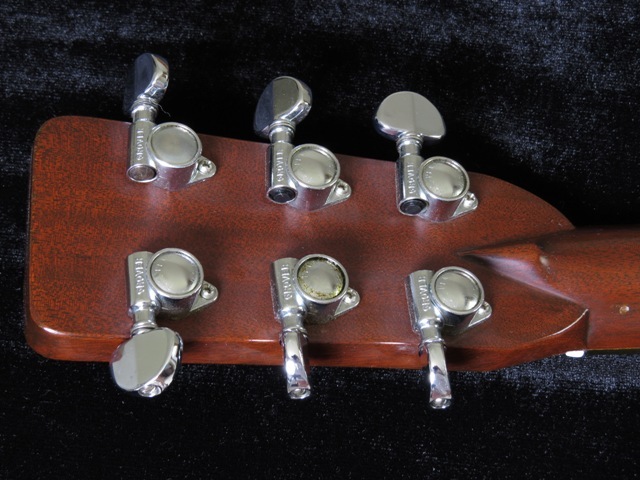 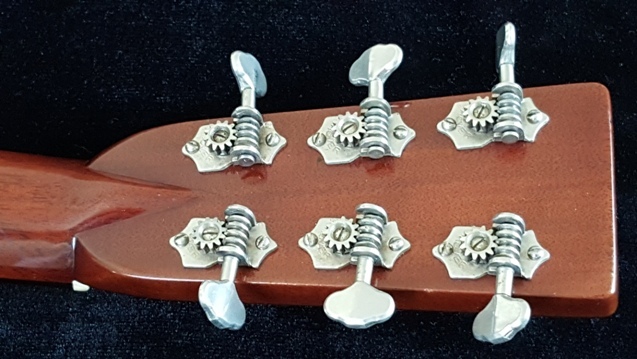 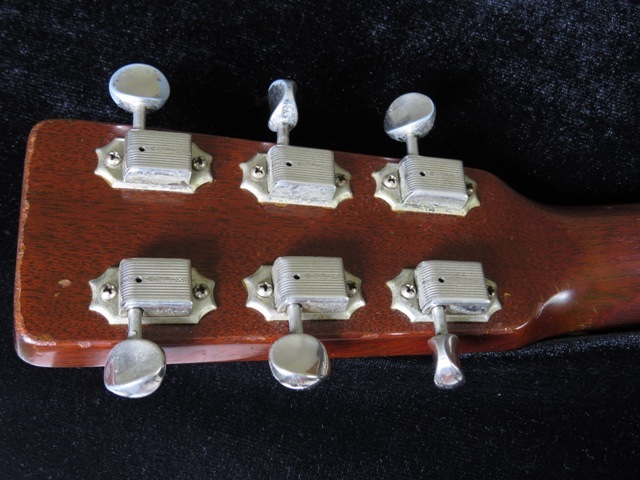 The tuners are replacement 1960s Grover gears. 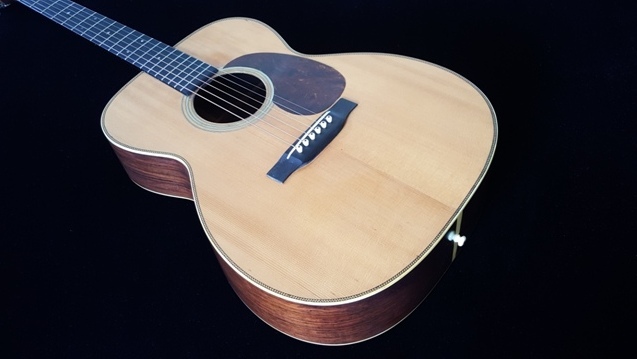 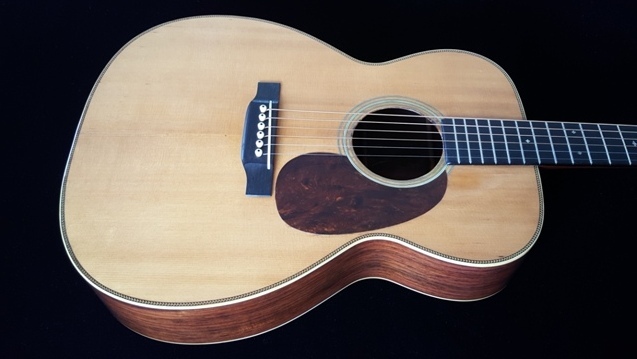 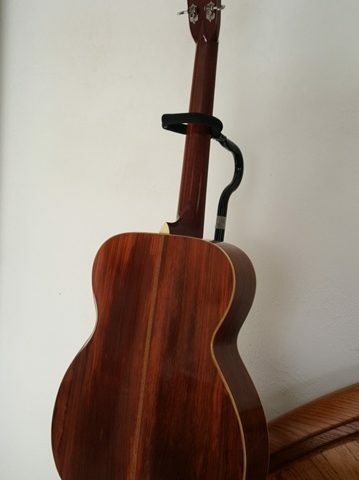 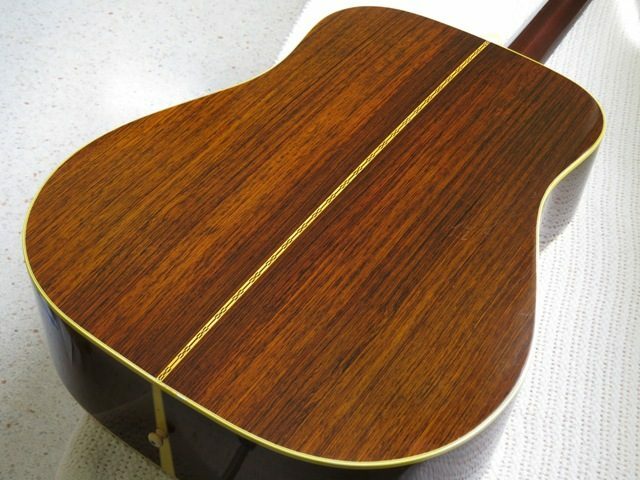 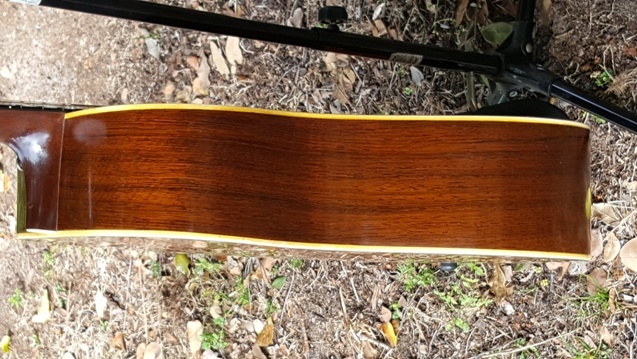 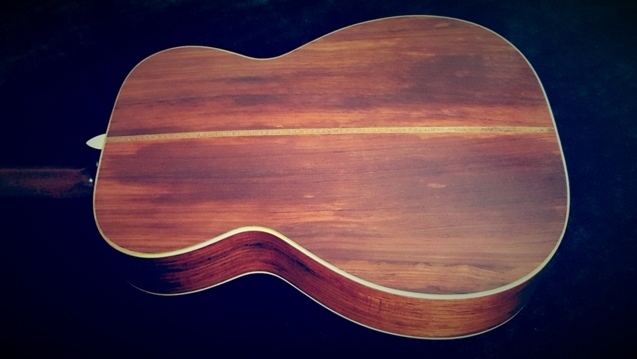 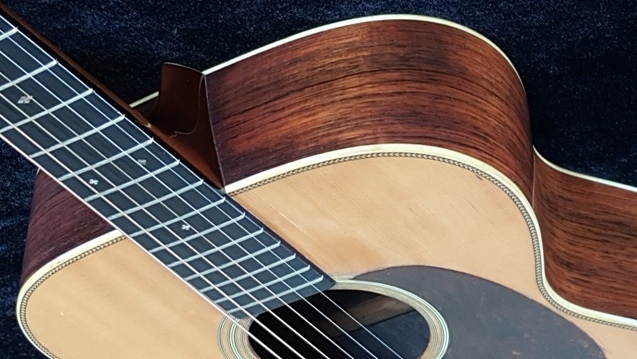 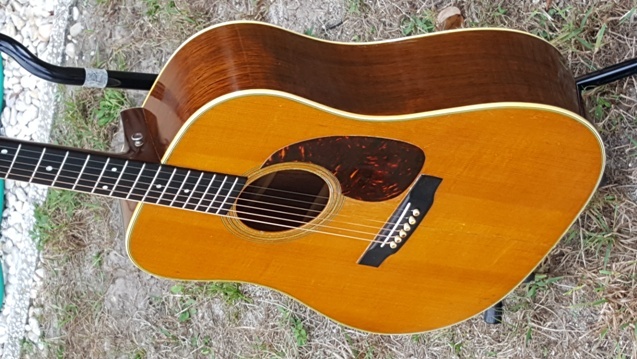 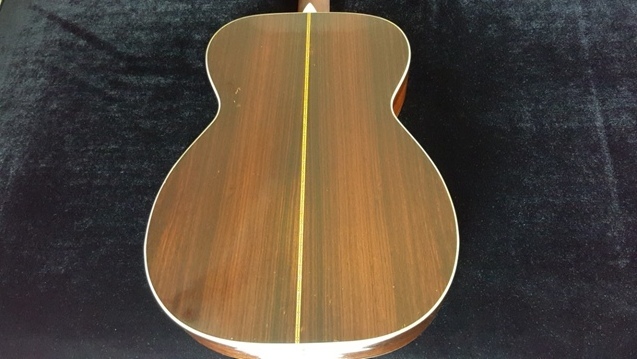 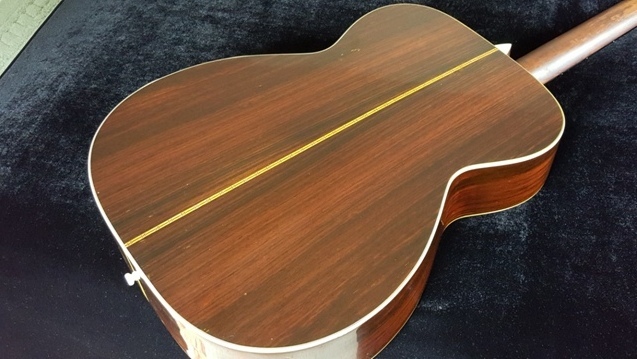 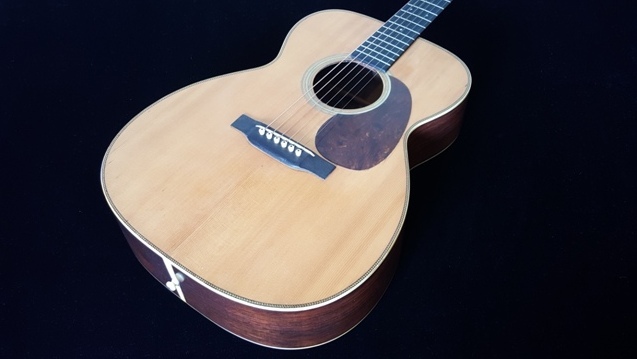 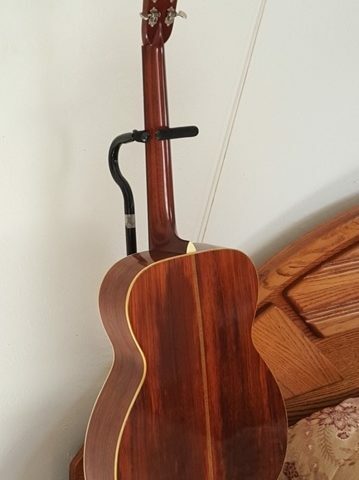 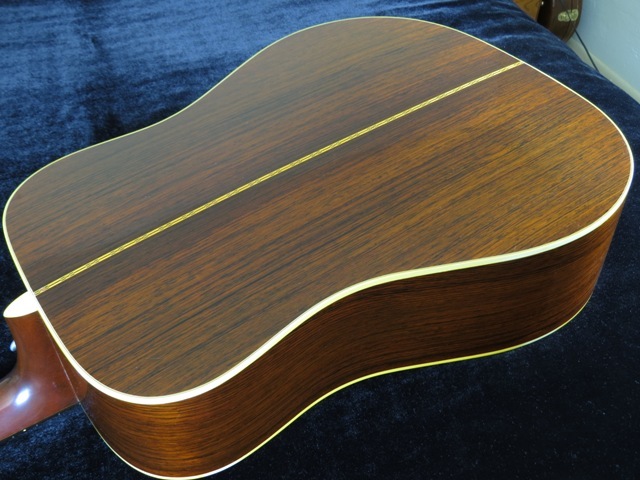 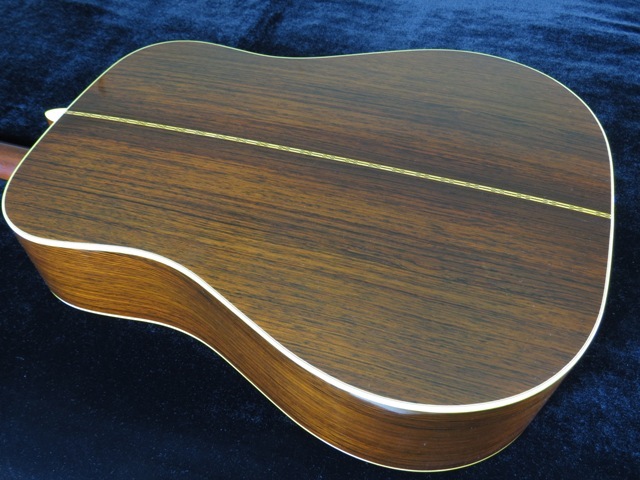 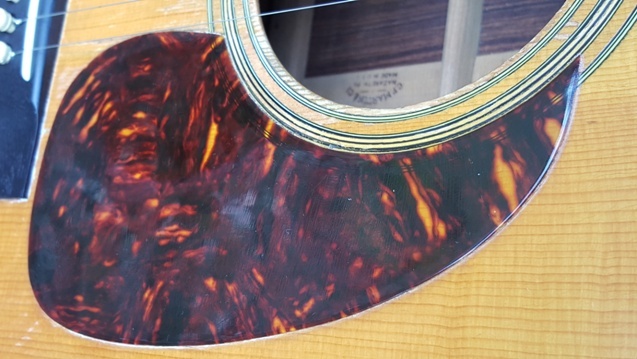 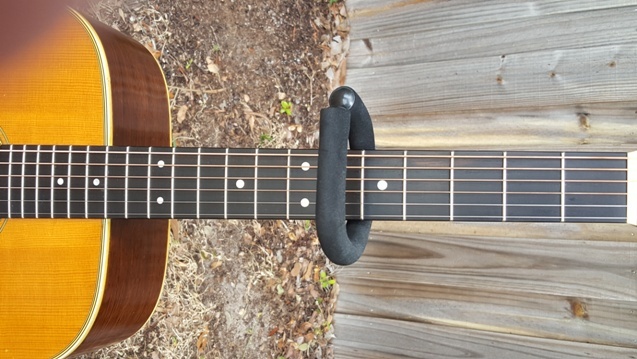 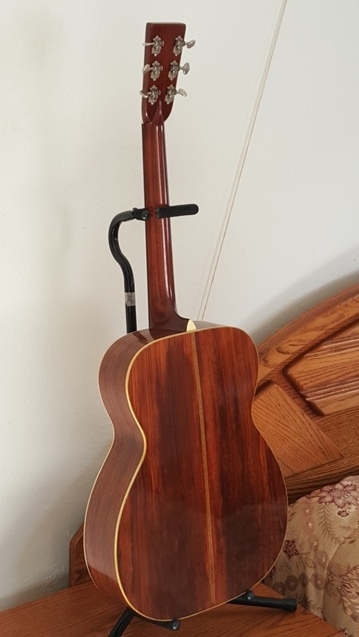 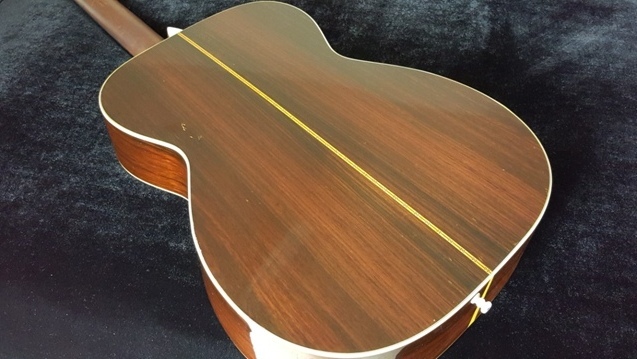 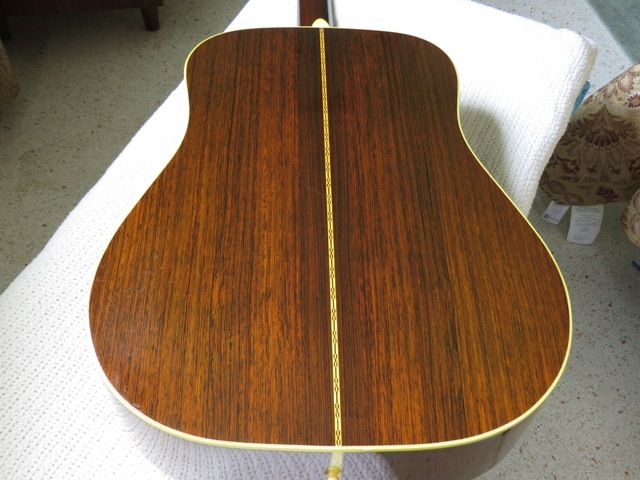 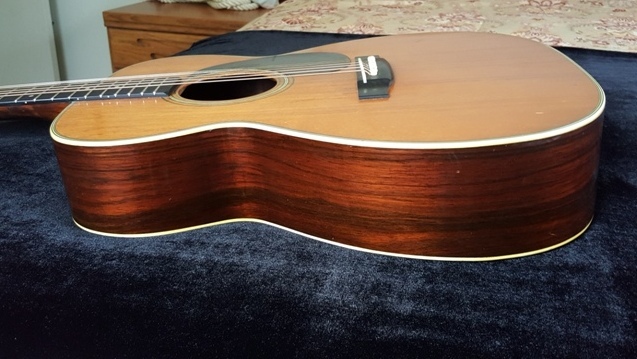 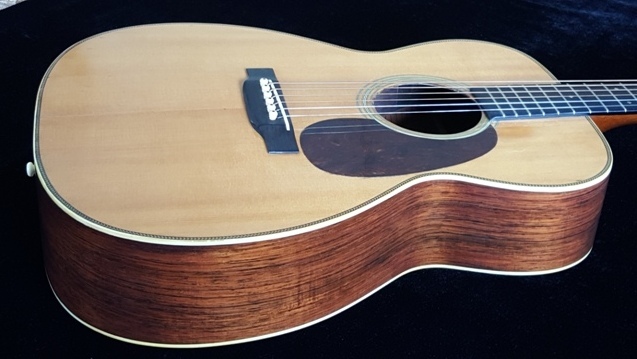 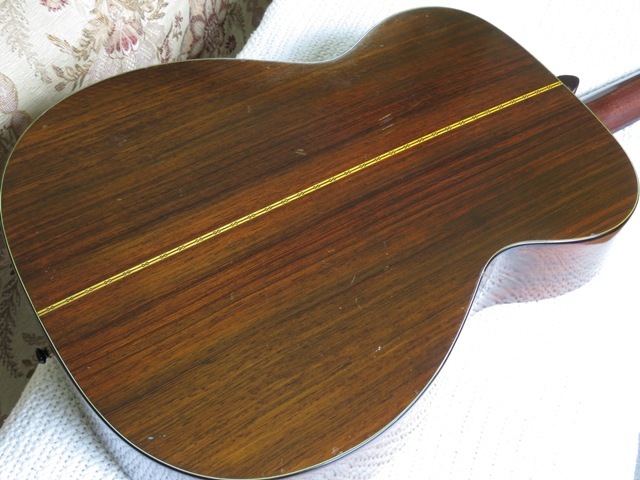 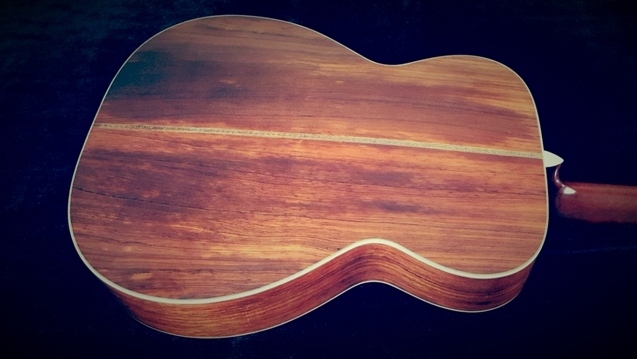 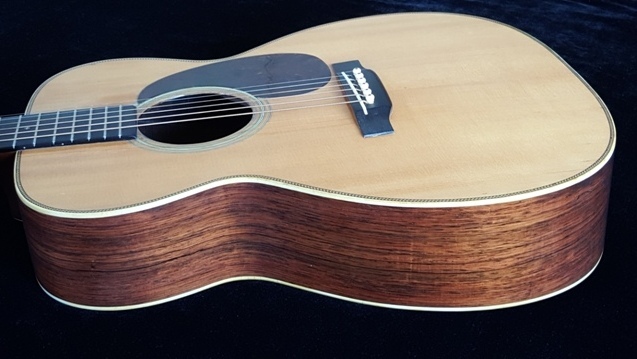 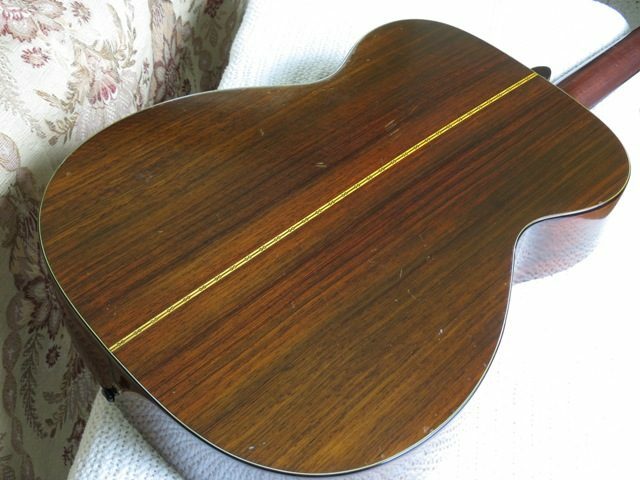 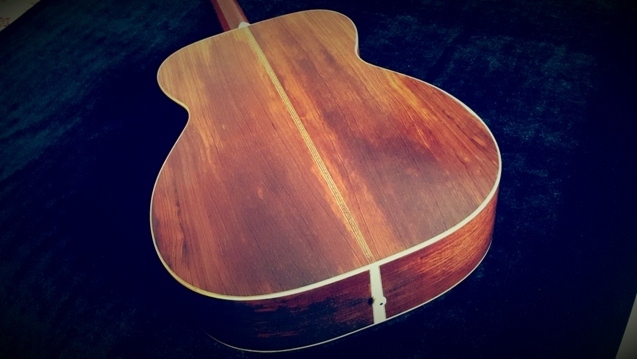 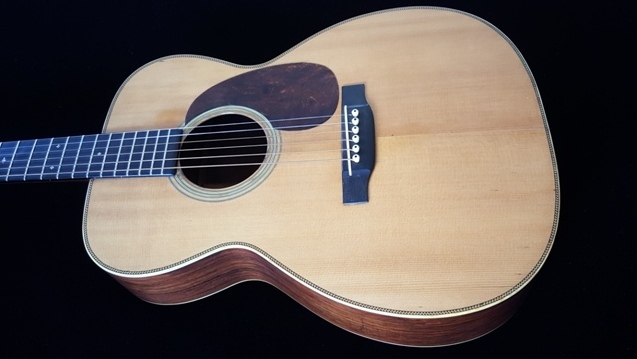 In other aspects, it conforms to the typical specs of the model for the period: Adirondack spruce top with Herringbone edge trim, gorgeous Brazilian rosewood back, sides, and peghead veneer, mahogany neck, ebony fingerboard with slotted diamond inlays, ebony bridge, and nitrocellulose tortoiseshell grain pickguard. 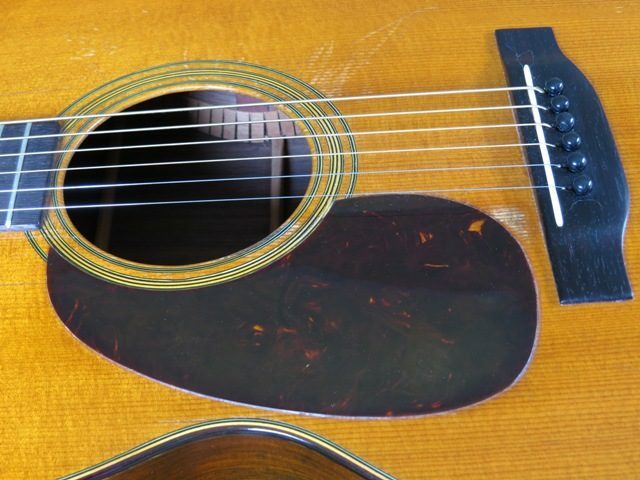 In the world of vintage guitars, there are very few guitars that are as coveted and desirable as the Prewar Martins – a fine example of a Prewar 000-28! 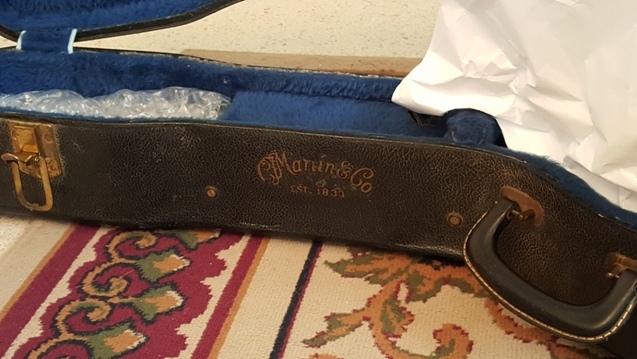 1947 Martin 000-28, EXC condition! 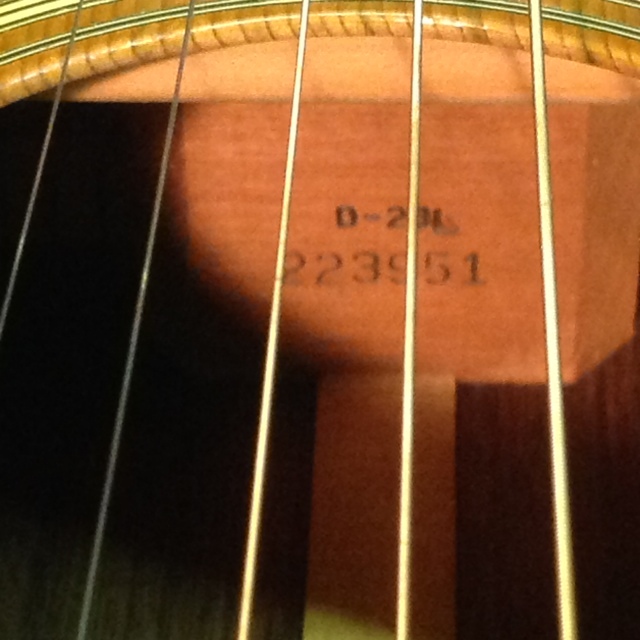 Serial number 101213. This guitar is in EXC condition. 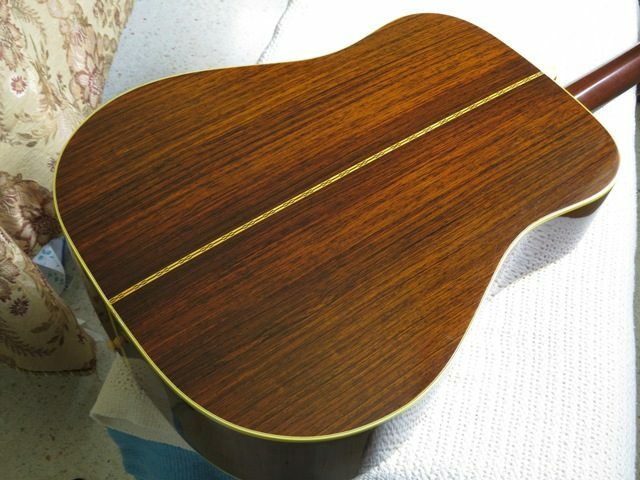 The neck has been reset and refretted and a new bridge has been installed by Gruhn Guitars. 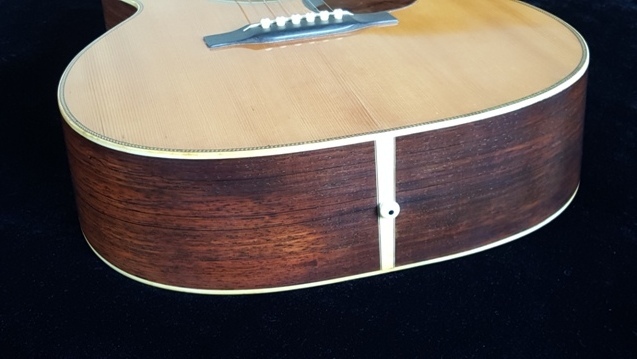 A strap button has been installed on the heel of the neck. 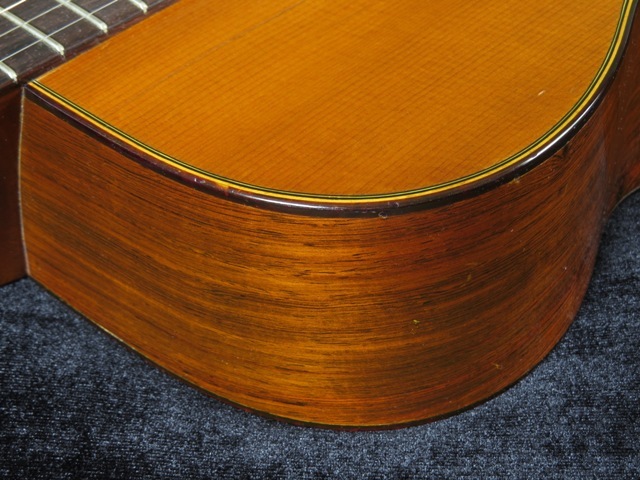 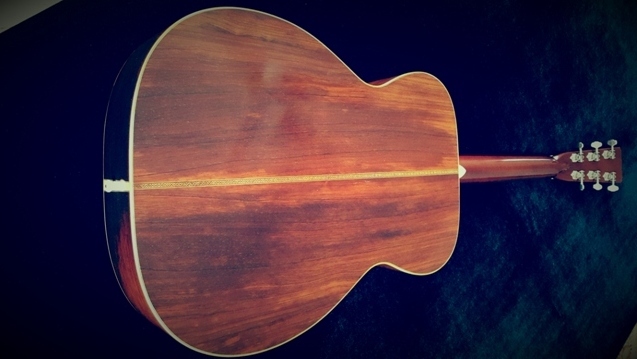 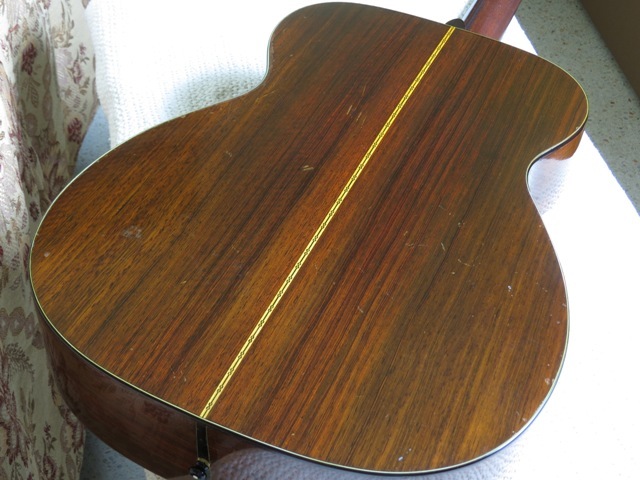 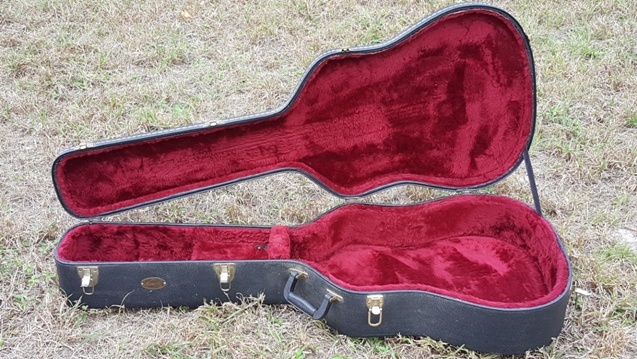 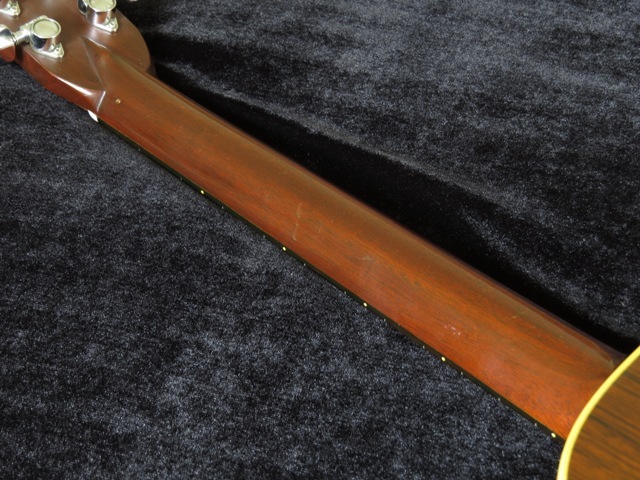 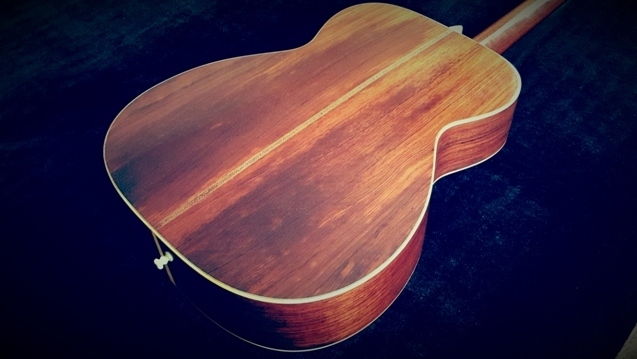 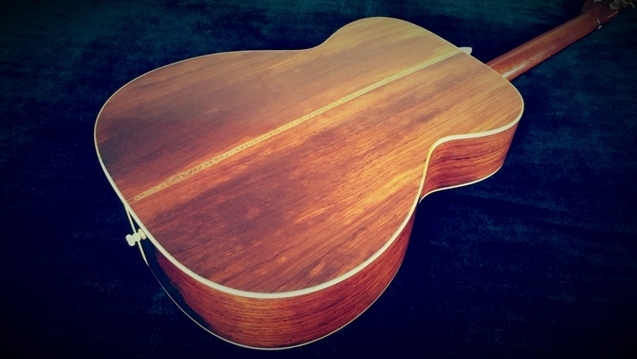 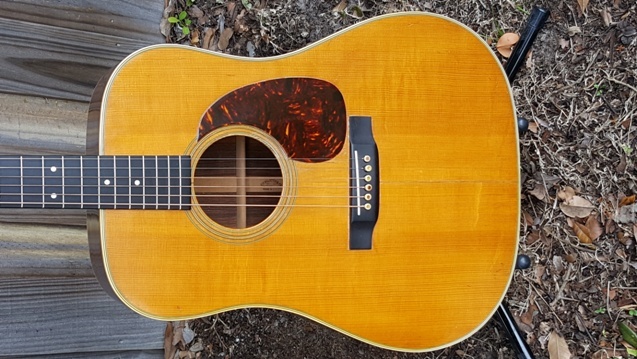 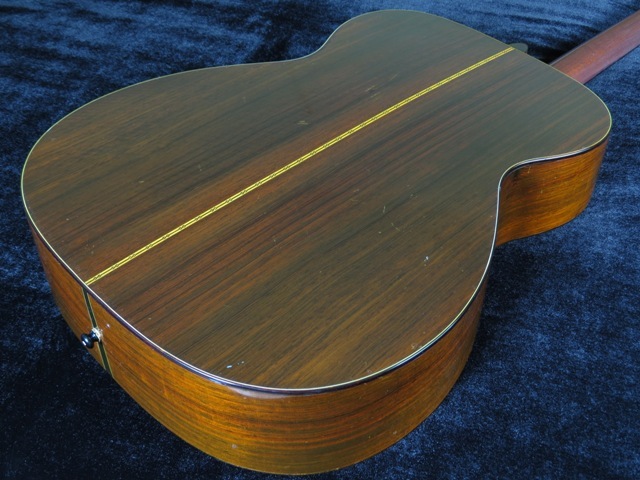 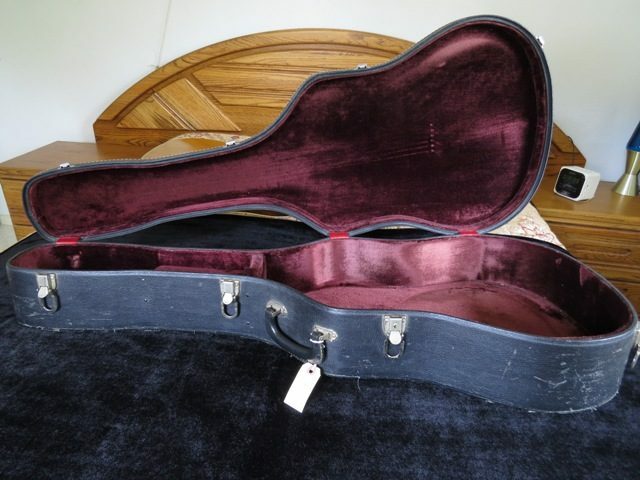 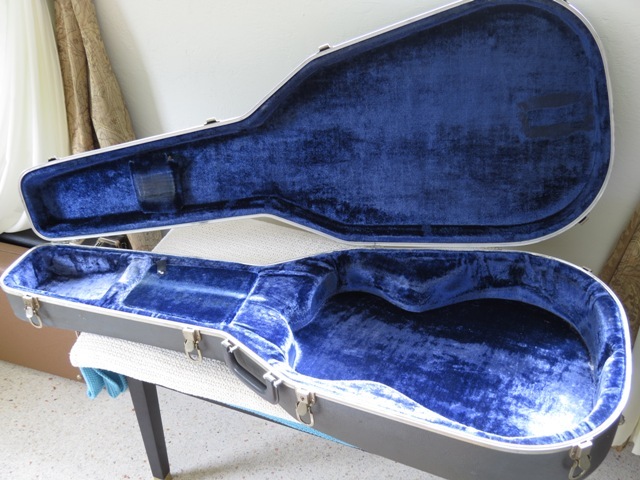 In other respects, it conforms to the typical specifications of the model for the period in which it was made with Sitka spruce top, beautiful Brazilian rosewood back, sides, and peghead veneer, multiple bindings on the top and back edges of the body, mahogany neck, ebony fingerboard with pearl dot inlays, Kluson Deluxe tuners, and nitrocellulose tortoiseshell grain pickguard. 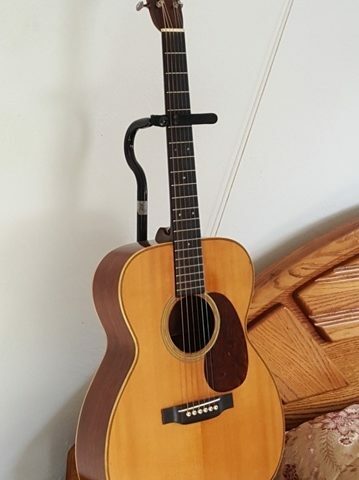 Very nice playing and sounding vintage 000-28. 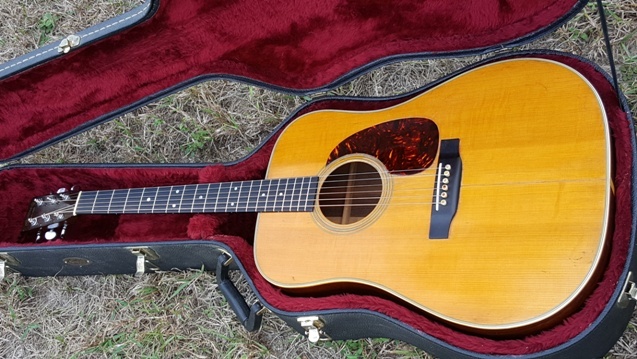 Unmolested original with all repair/set-up work performed only by Gruhn Guitars – a keeper for sure! 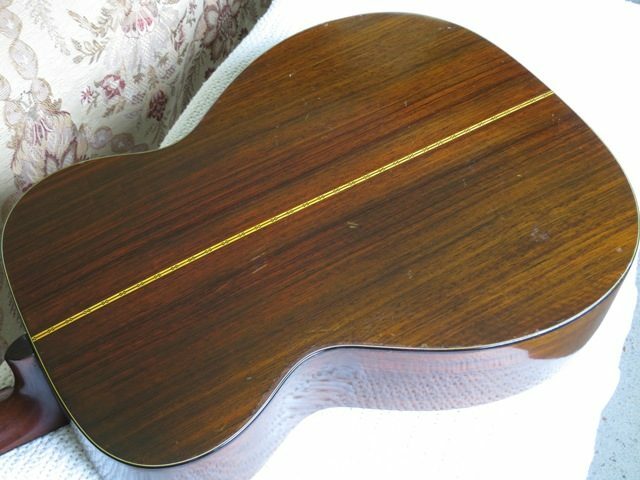 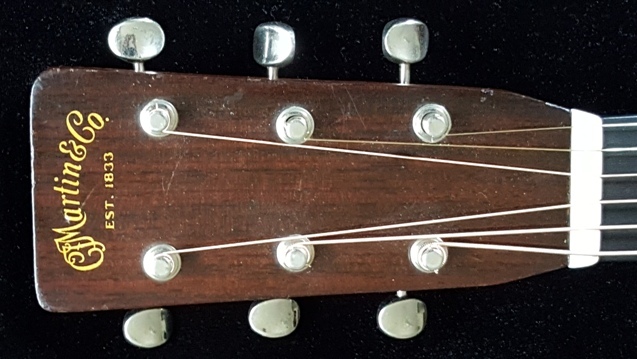 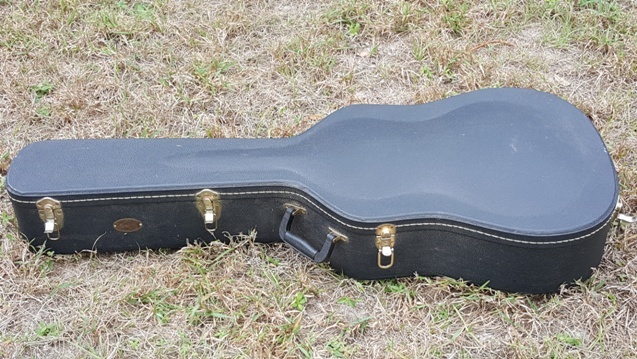 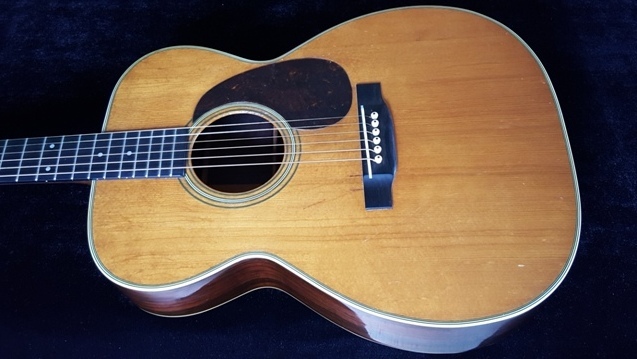 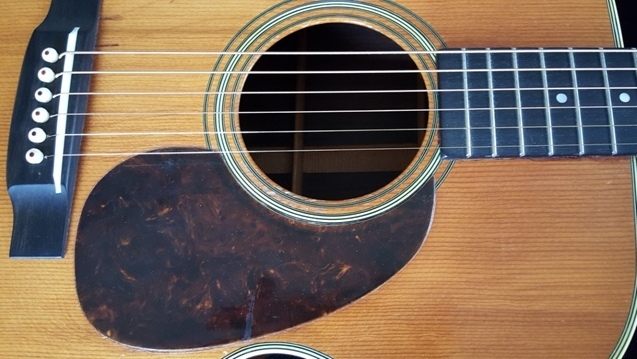 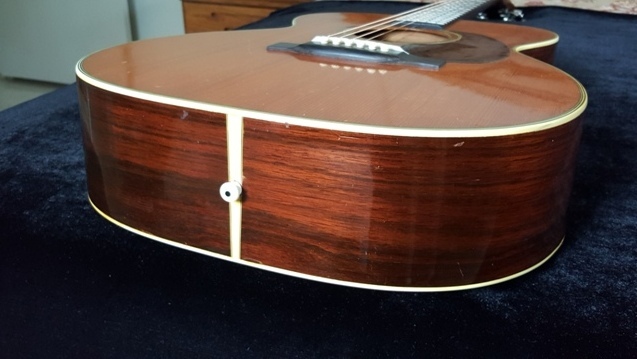 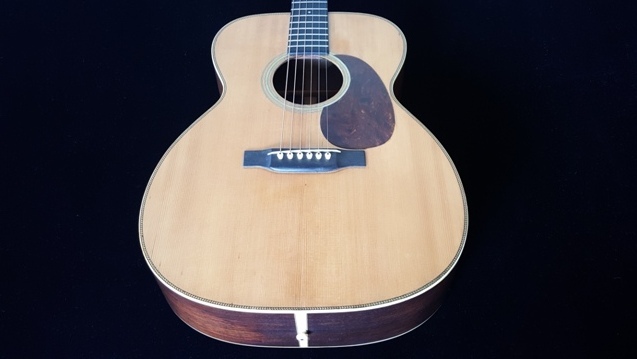 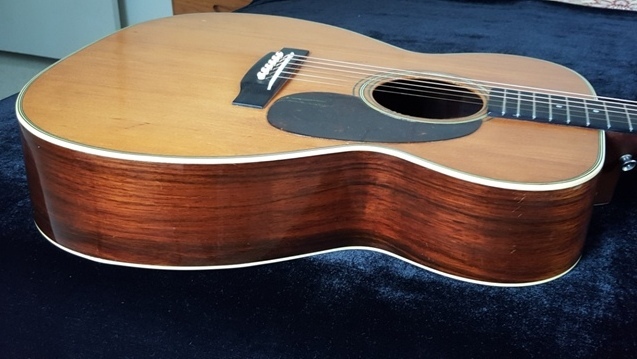 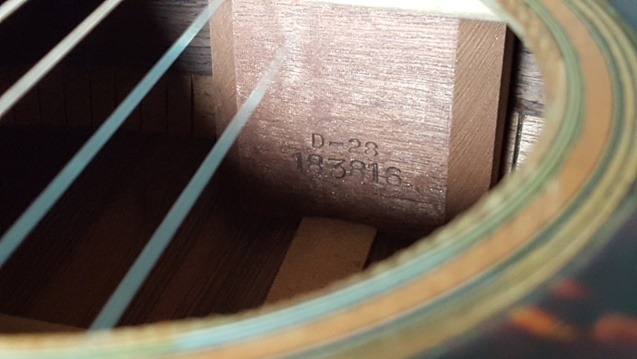 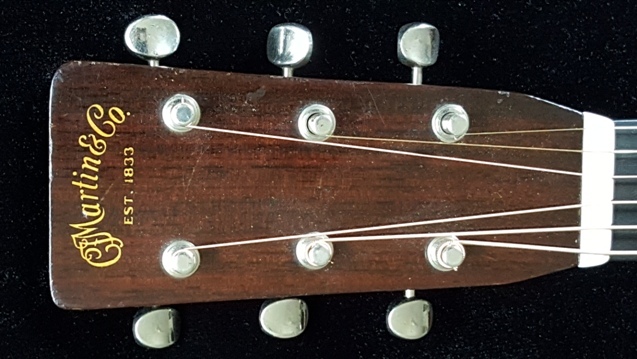 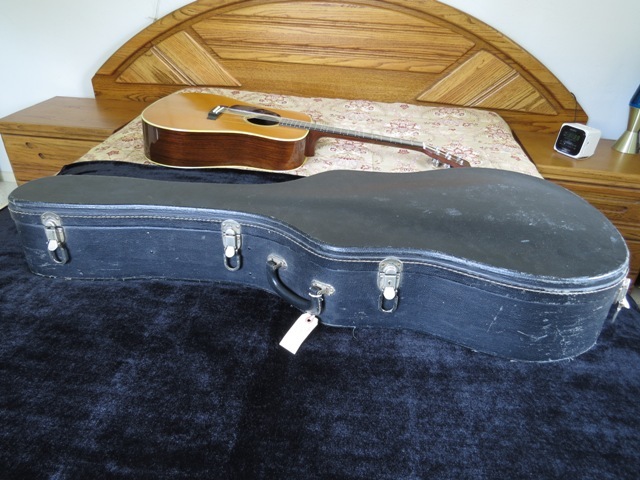 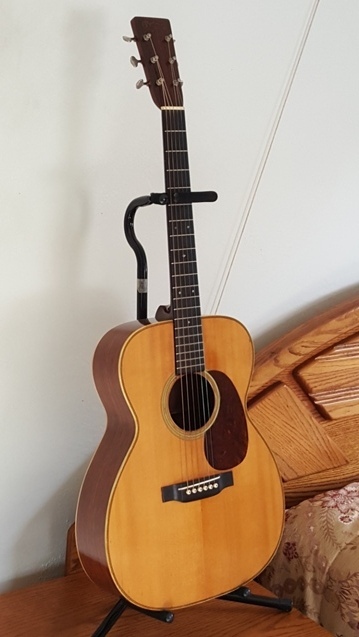 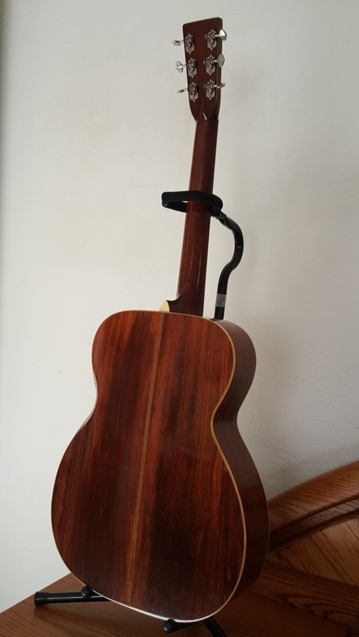 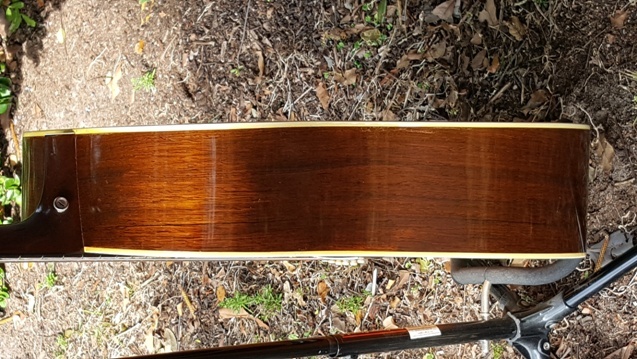 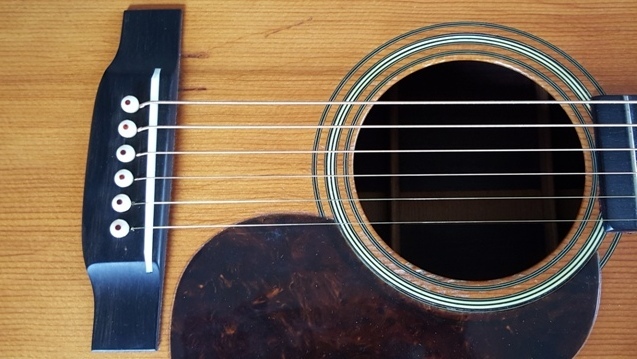 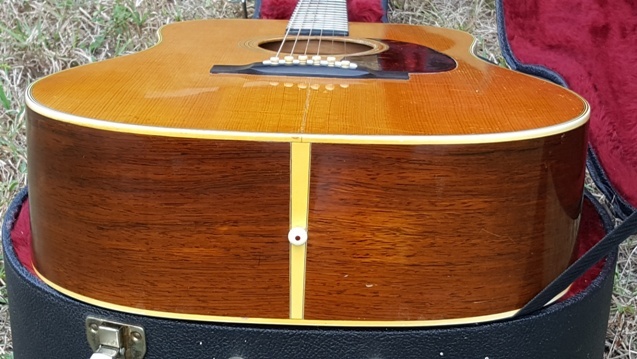 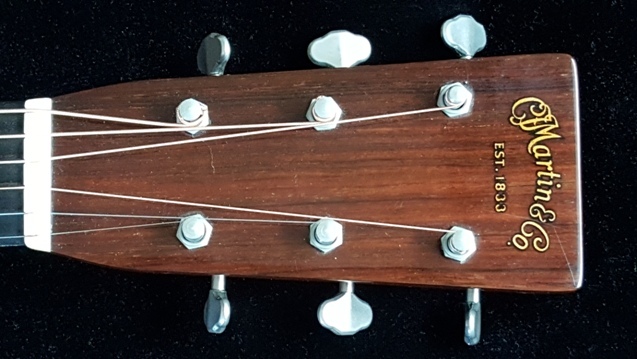 Superb example of an older D-28, one-owner guitar with neck reset & minor cracks repaired at Elderly Music with full documentation, 100% original with OHSC, outrageous Brazilian wood on this one, and it’s a canon! 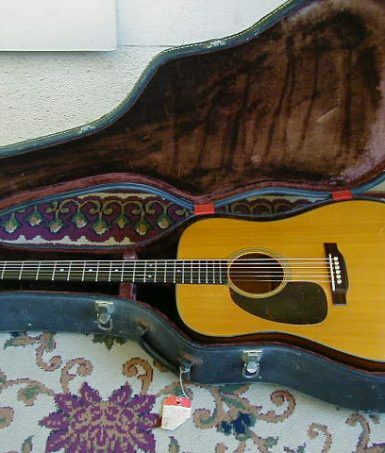 Hey, didn’t Elvis play a ’54 D-28? 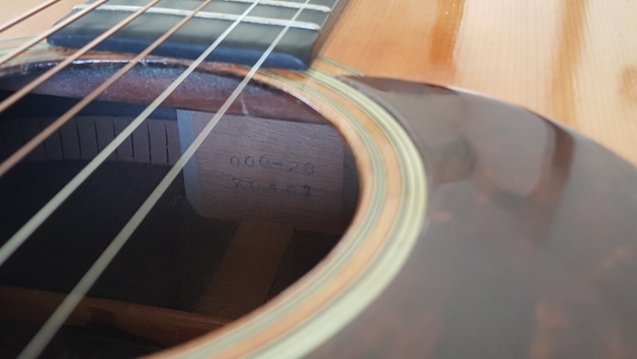 Yes, I think he did! 1950 Martin 000-21L, Original & Rare Factory Left Handed 1950s Martin! 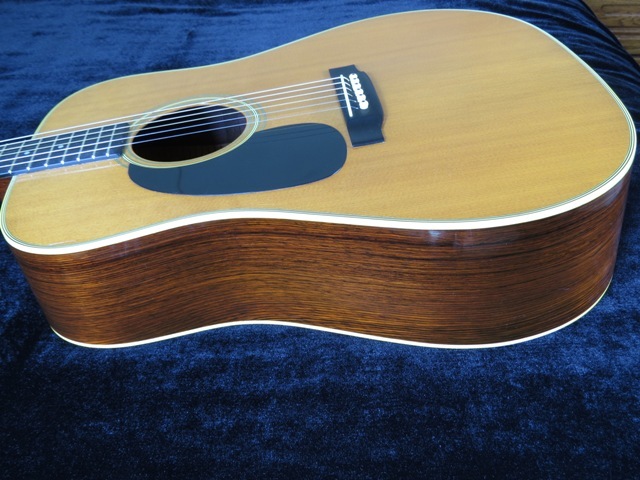 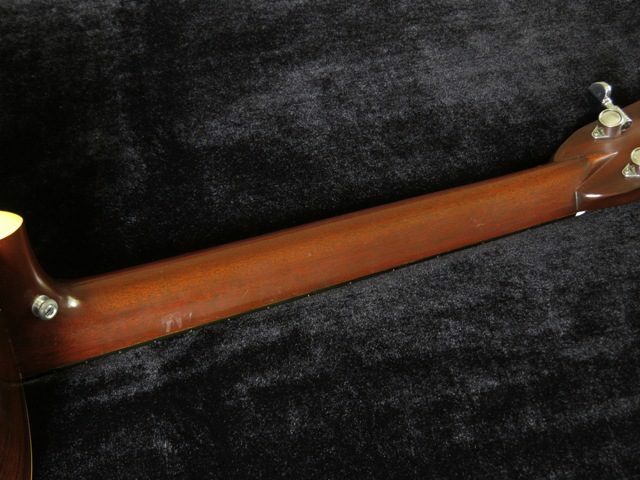 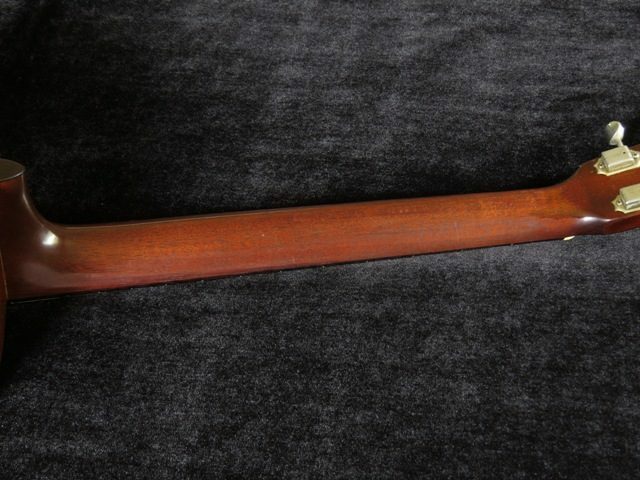 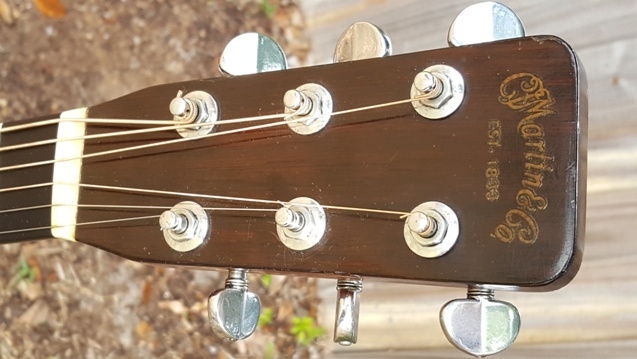 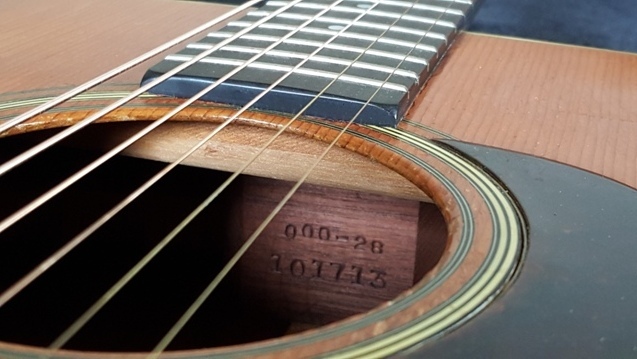 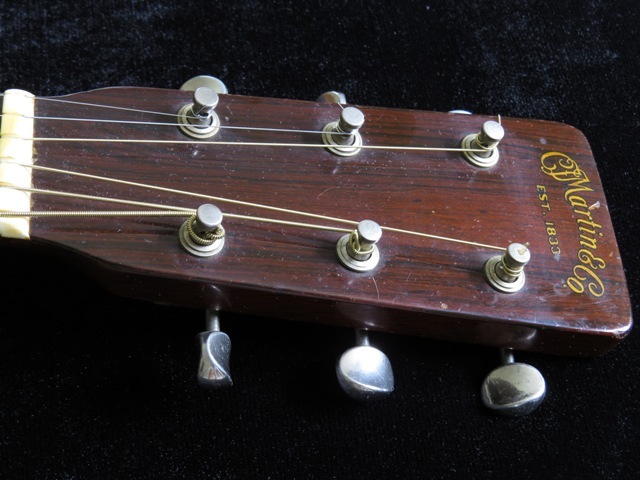 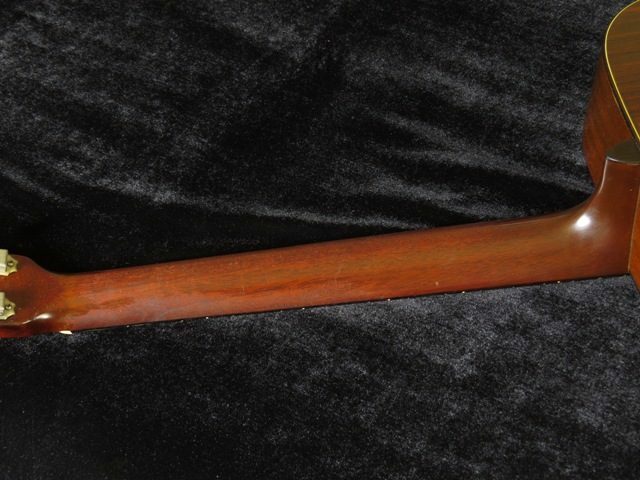 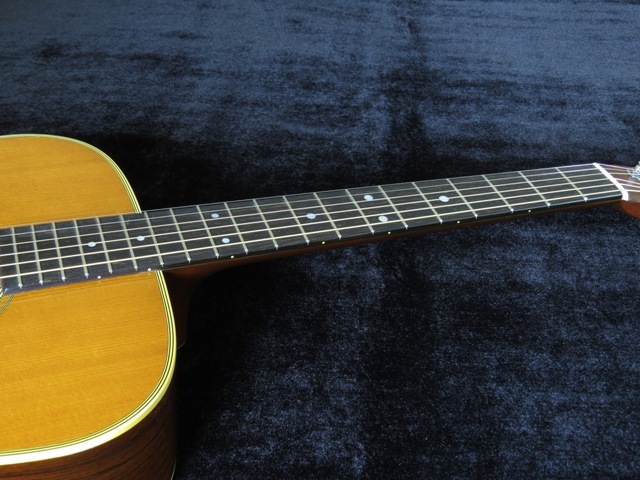 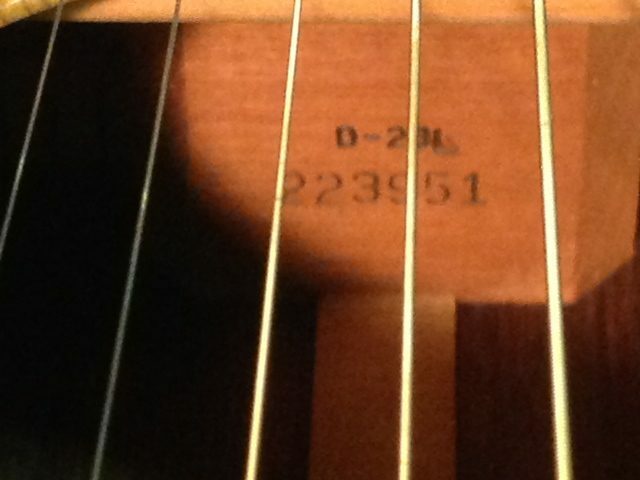 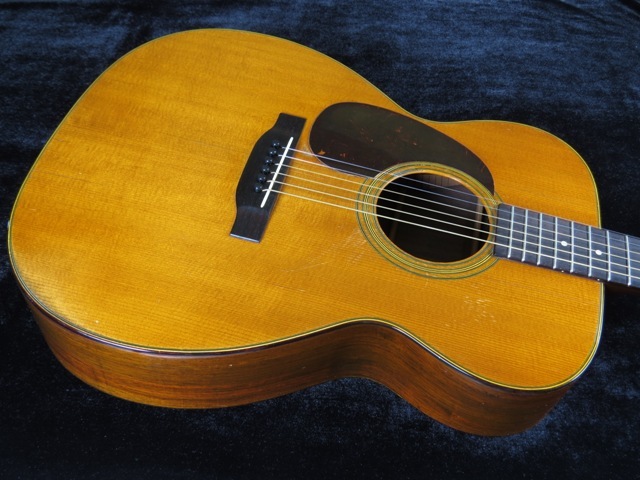 The 000-21 was a model that Martin produced with the 1.68 nut from 1939-1959. 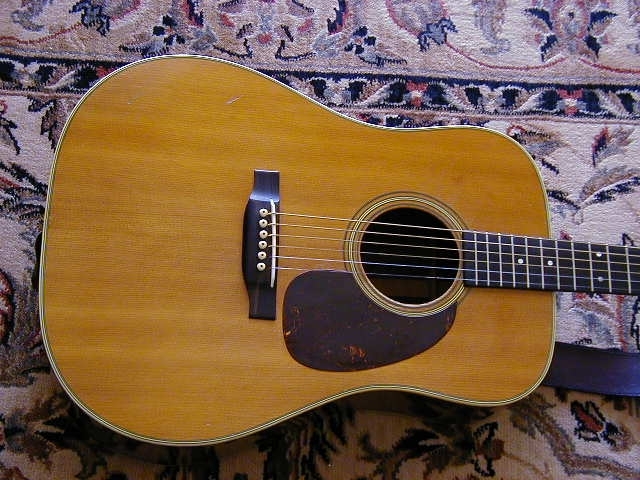 Martin only built 97 000-21s in 1950. 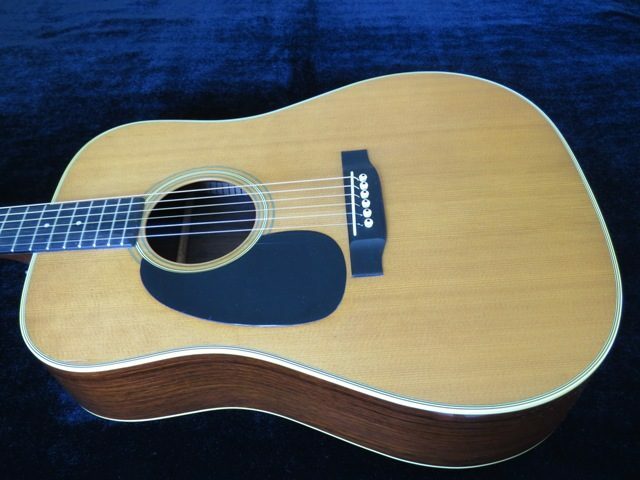 The production level pales in comparison to the quantity of D-28s built that same year(475), so that gives you a good idea of just how rare the 000-21s are. 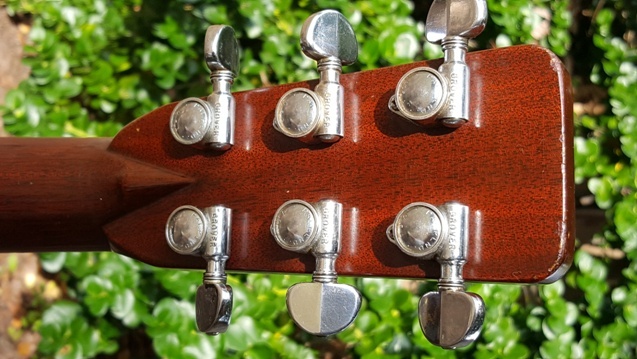 To find one ordered as a factory left handed model is unheard of! 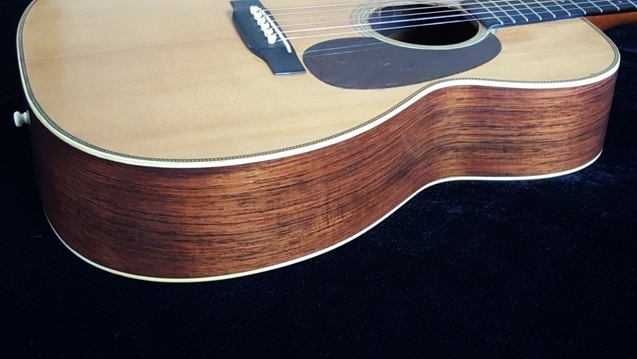 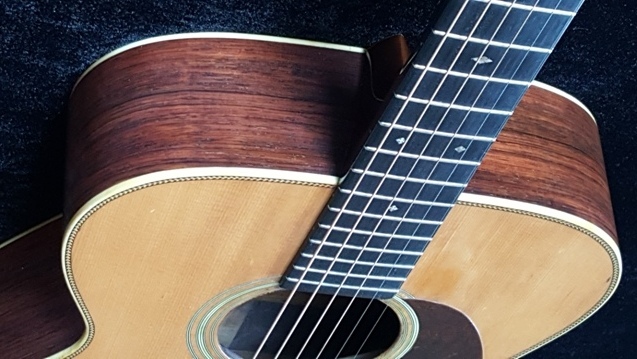 Features beautiful quartersawn Brazilian Rosewood back, sides, fingerboard, bridge, and peghead overlay, as well as a tighty grained Sitka spruce top. 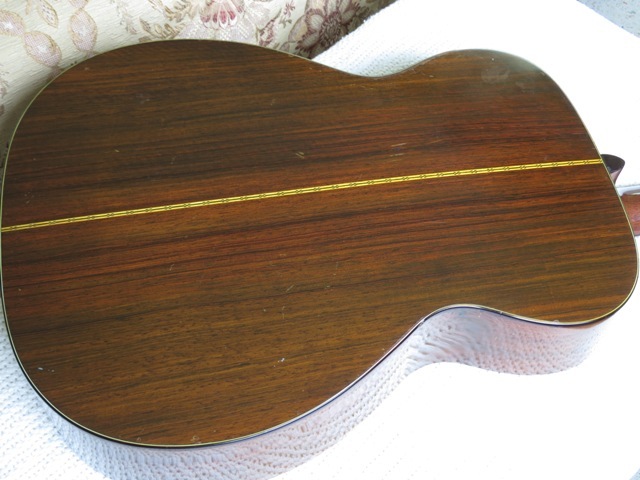 Has a 24.9 scale neck, 15” body, 14 frets to the body, tortoise binding top and bottom. 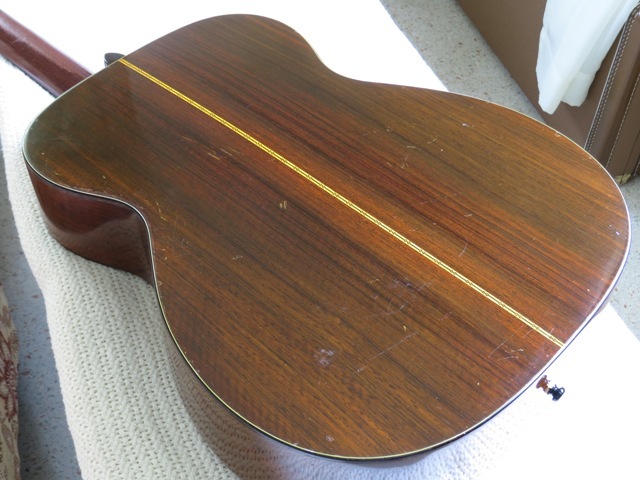 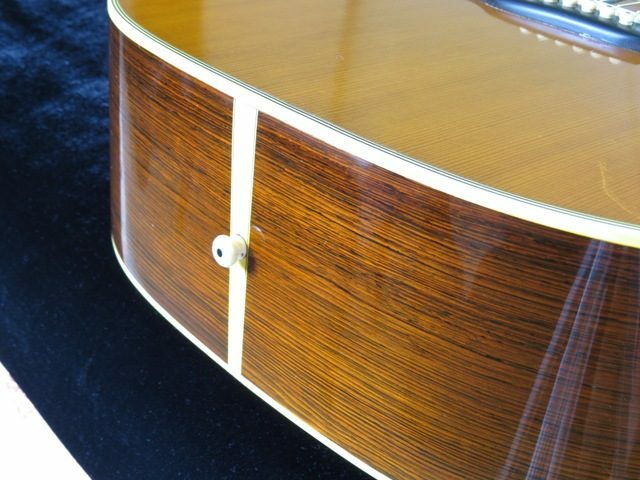 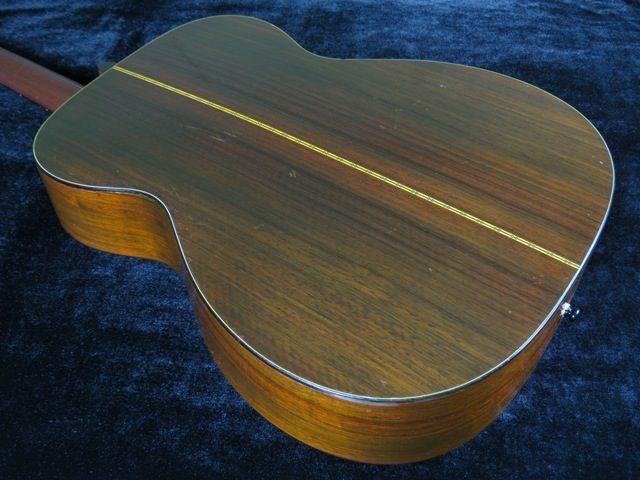 1967 Martin D-28L, Brazilian Rosewood, Very Rare Factory Lefty, EXF Condition! 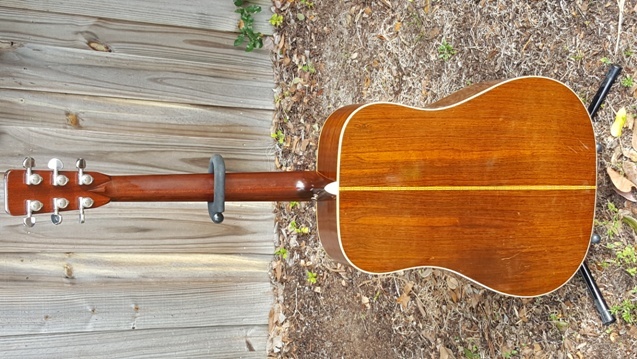 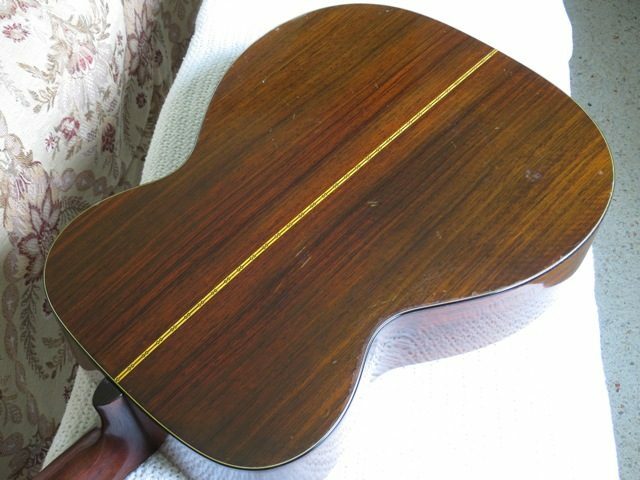 True factory Left Handed 1967 Martin D-28(D-28L), Beautiful Brazilian Rosewood back/sides, includes OHSC with dark burgundy lining. 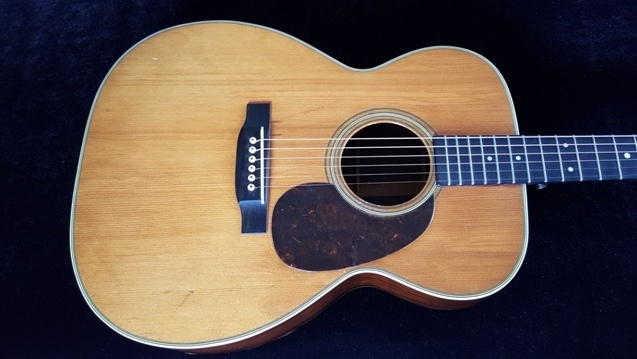 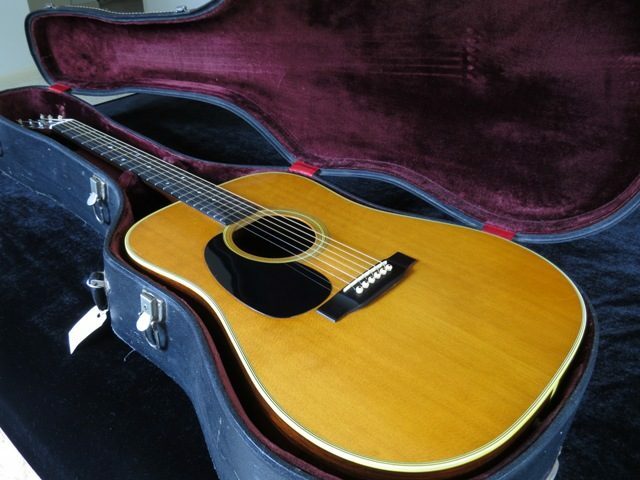 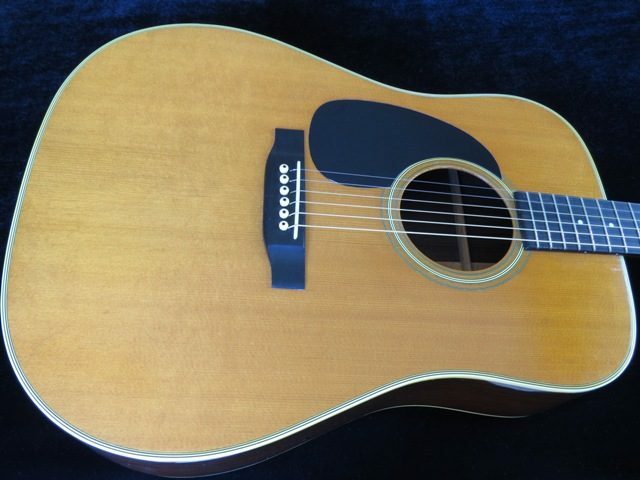 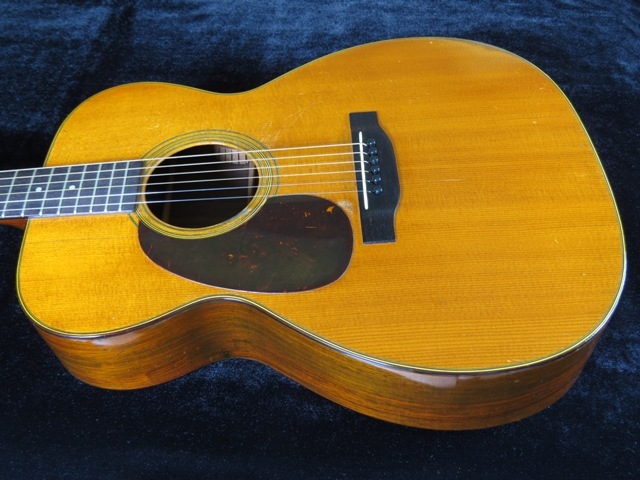 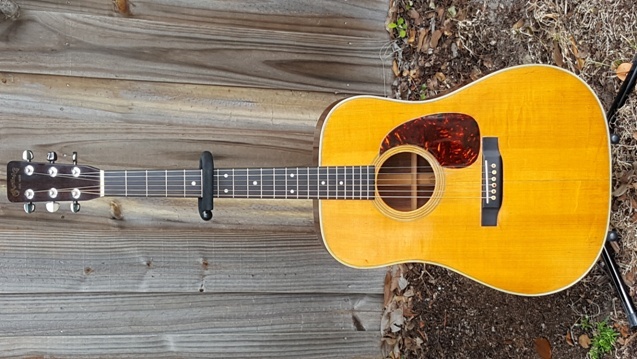 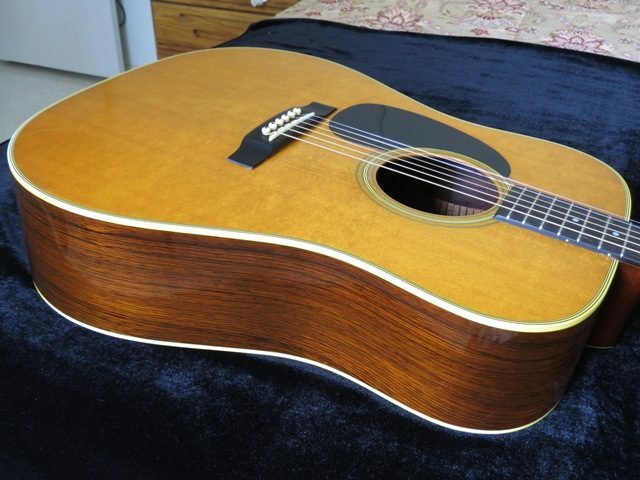 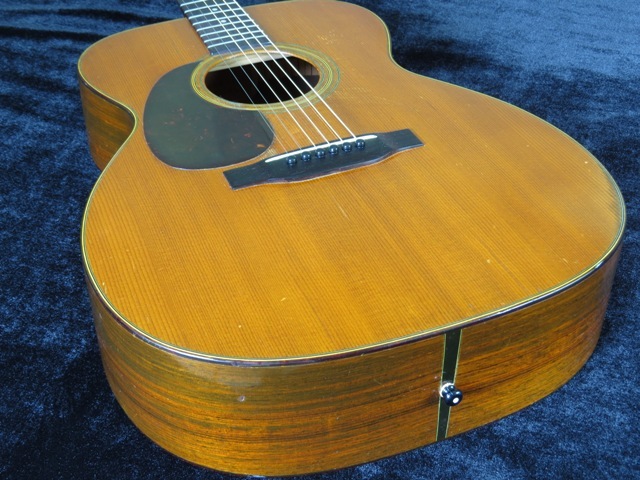 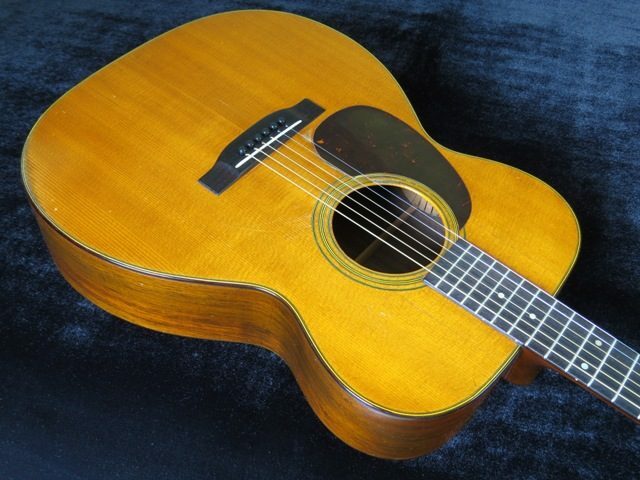 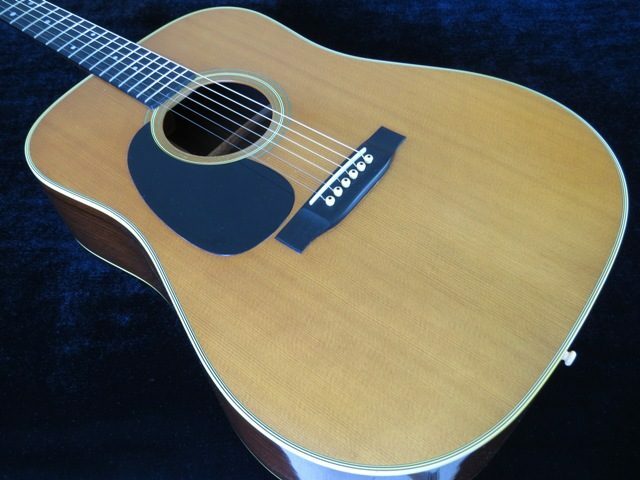 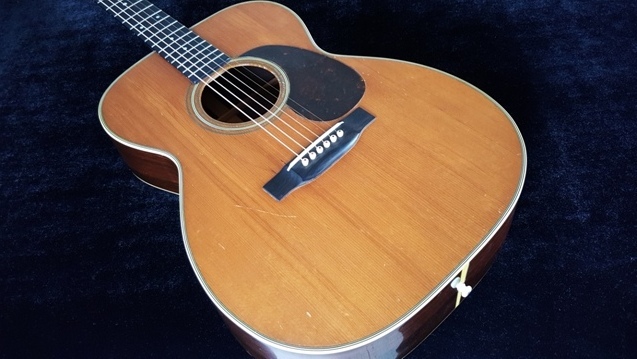 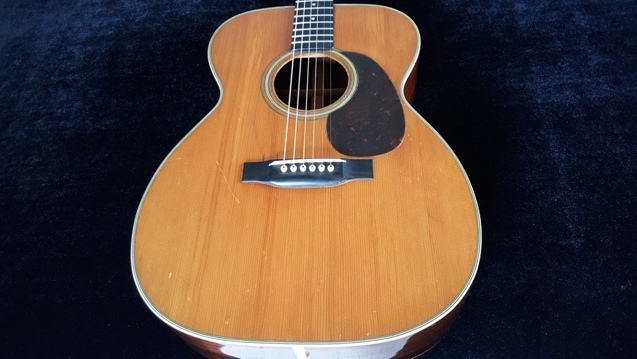 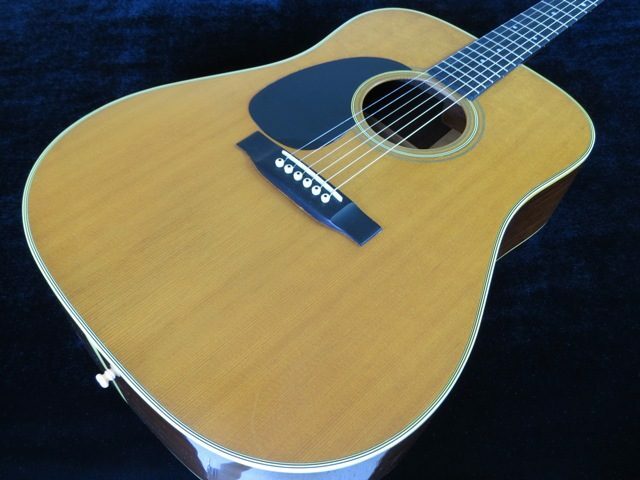 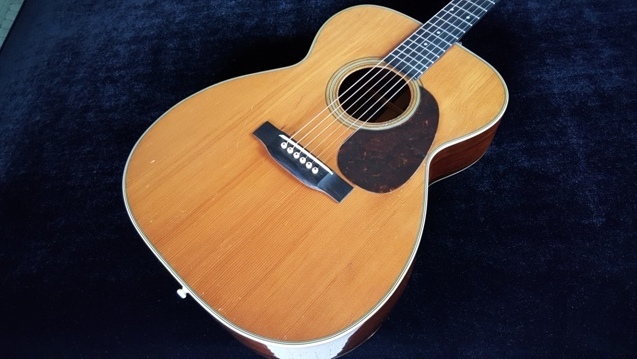 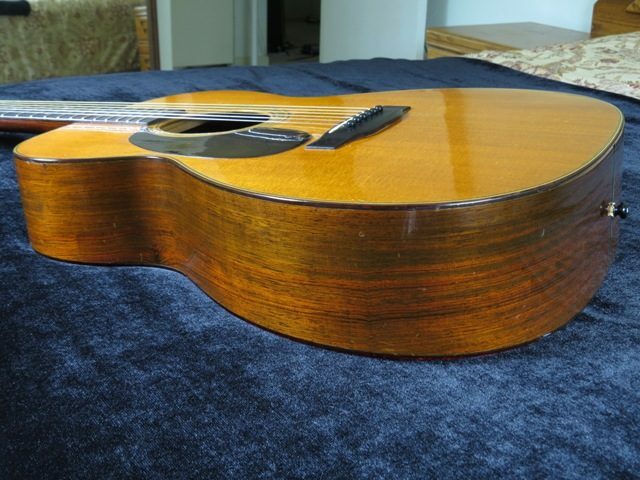 This is the cleanest pre-1970 left handed Martin I have seen! 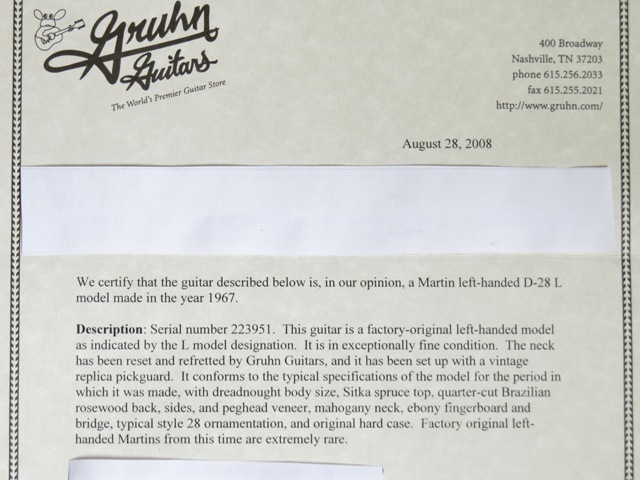 Gruhn Guitars had this guitar back in 2008 and rated it EXF(Exceptionally Fine Condition-see photo of Gruhn description). 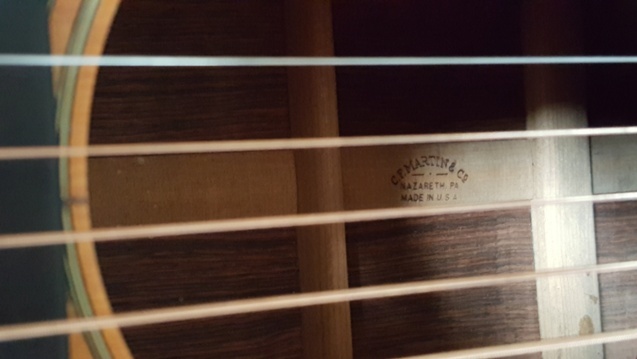 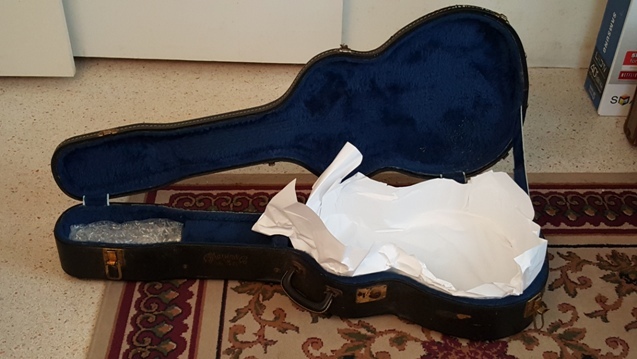 The guitar has been stored since then. 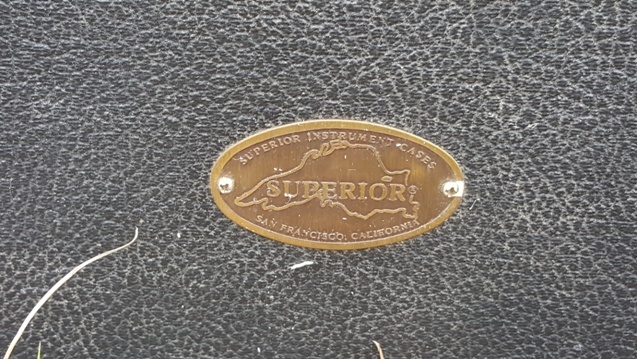 I cannot disagree with their assessment! 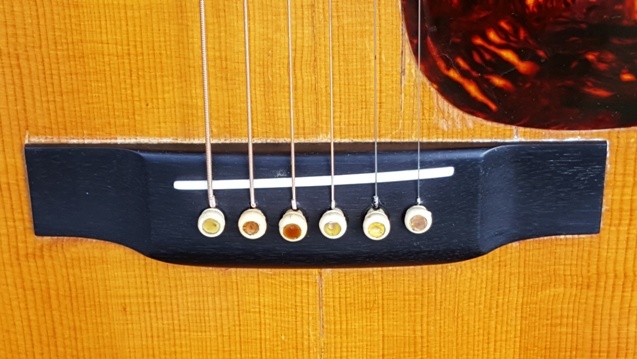 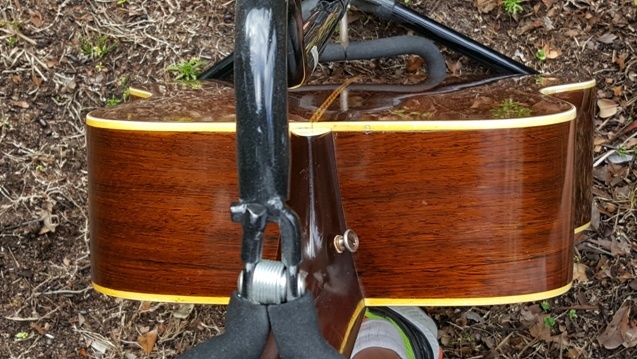 While at Gruhn Guitars, they performed a neck reset, refret, and installed a new vintage replica pickguard. 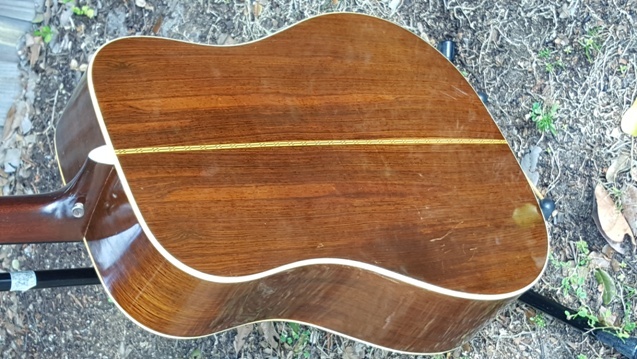 The guitar is 100% original except for the replacement pickguard. 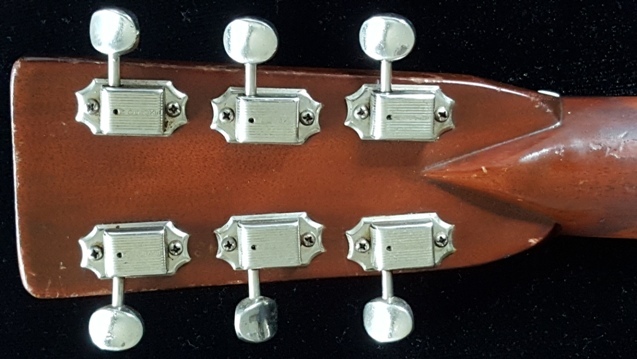 They did a great job on the neck set, as you cannot tell the neck was ever off the guitar. 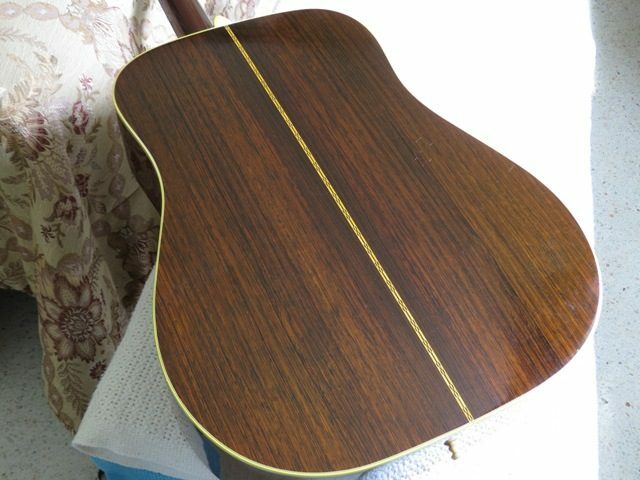 The refret was also first rate. 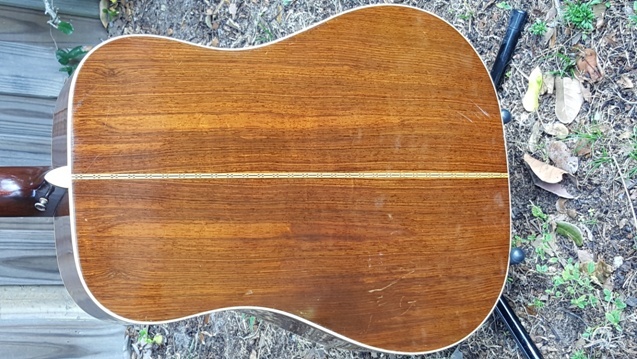 Gruhn Guitars do Excellent work in their shop, so this guitar has had all the necessary work done to it, and now needs nothing and is ready to play. 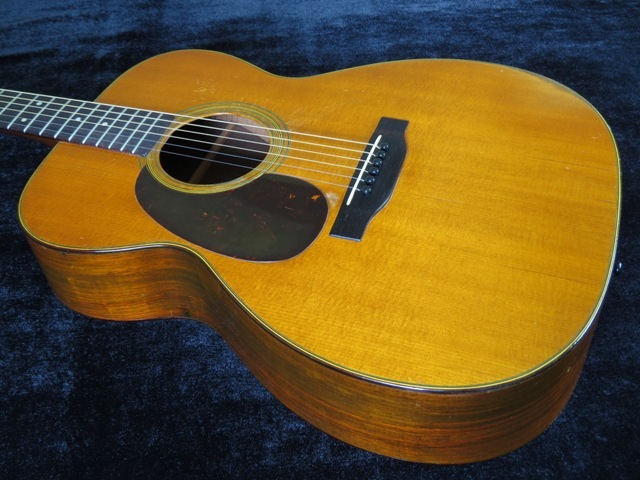 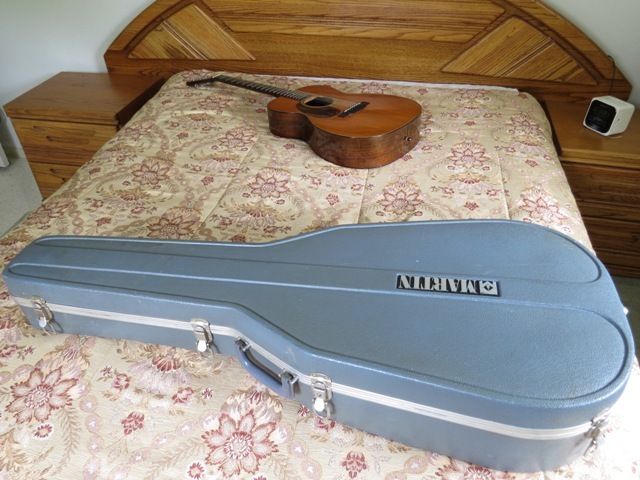 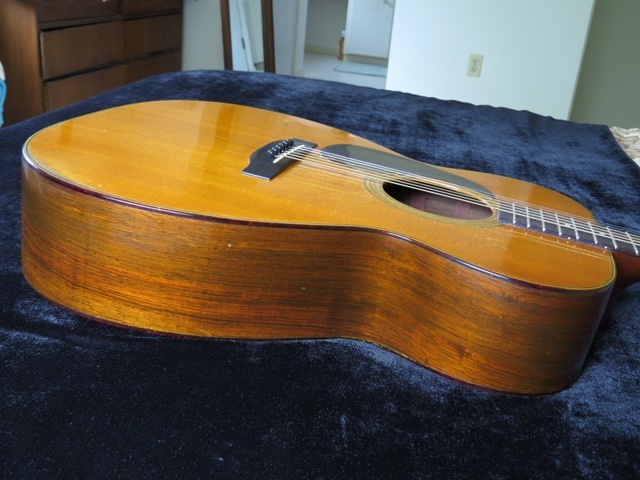 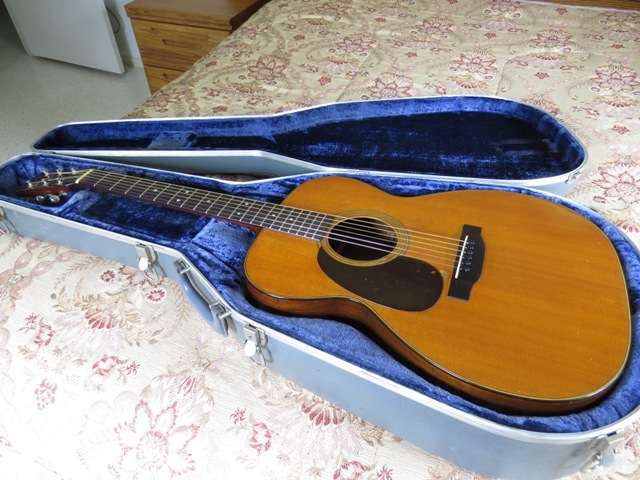 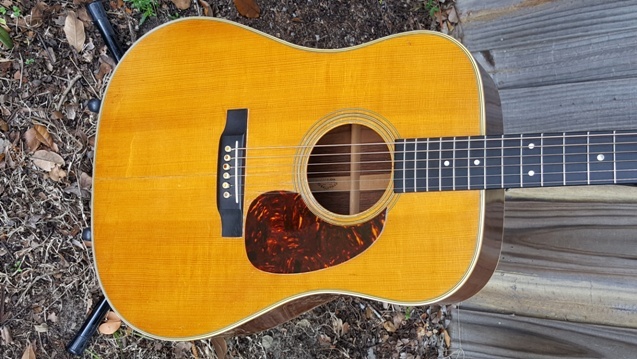 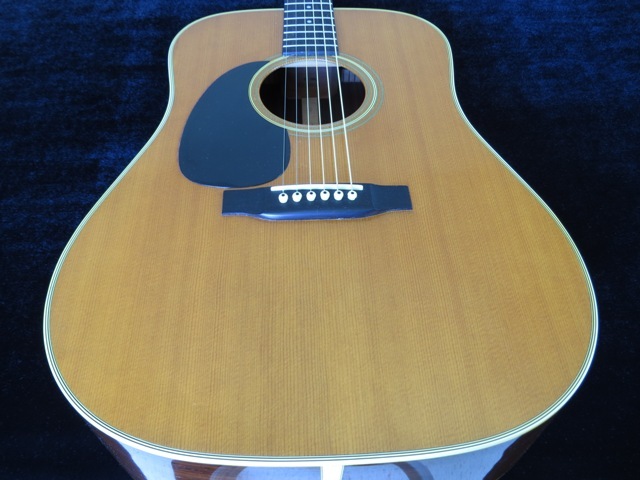 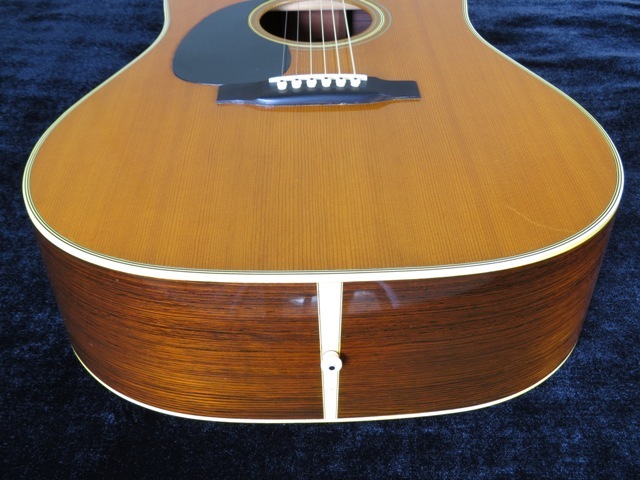 1962 Right Handed Martin D-28, Excellent Condition! 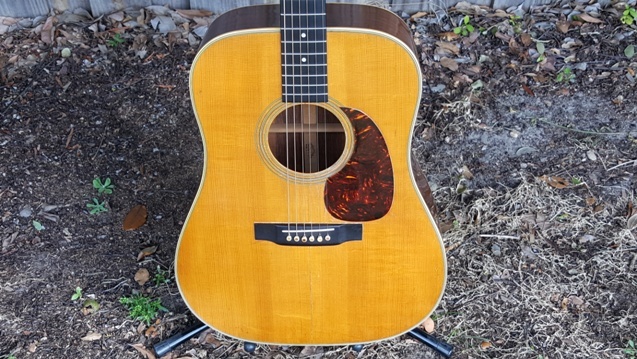 Right Handed 1962 Martin D-28, features an attractive aged spruce top, and beautiful straight-grained Brazilian Rosewood back & sides.